AVALON — Bluewater Avalon is undoubtedly a list-topping eatery on Catalina Island and the owners have joined with Catalina Island Conservancy to open a new restaurant, Toyon Grill. 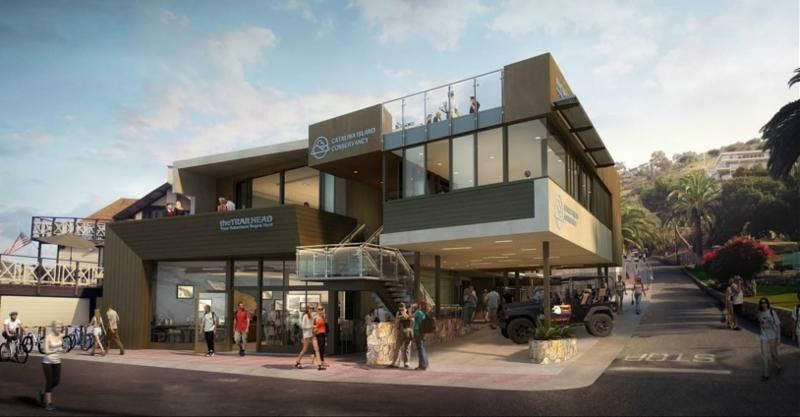 Catalina Island Conservancy has been working toward the grand opening of the new Trailhead Visitor Center by the end of this year and, on Oct. 25, the Conservancy announced the inclusion of the new restaurant. The restaurant will open at the same time as Trailhead Visitor Center. Toyon Grill will be able to hold 125 guests and in a prime location near the ferry mole, the restaurant will offer amazing views of Green Pleasure Pier, Avalon Casino and the waterfront. The space will also be offered for special occasion events such as weddings, business meetings and more. According to the announcement, Toyon Grill will be a more informal, casual restaurant than its sister Bluewater Avalon, but it will still provide delicious breakfast, lunch and dinner options of similar quality. Visitors will also have the chance to grab coffees, small-batch craft beers, cocktails and other libations. Another treat for hikers who are on their way to trek with the buffalo and experience the natural elements on the island is that Toyon Brill will provide a selection of grab-and-go picnic boxes to enjoy on the way to the next adventure. Local fishermen will operate Bluewater’s boat, Pilikia, to bring Pacific swordfish, white sea bass and other regional catches fresh to diner’s plates at Toyon Grill. As a nod to Catalina Island, Toyon Grill was named for the toyon, also known as Christmas Berry or California Holly, which is a perennial plant native to the island. The plant has festive red and white blooms and visitors will usually encounter it on Catalina. Trailhead Visitor Center has been much anticipated and, with the addition of a new dining facility, will certainly draw a large crowd in Avalon when it opens. For more information about Trailhead Visitor Center, visit catalinaconservancy.org. Details about Bluewater Grill can be found at bluewatergrill.com.